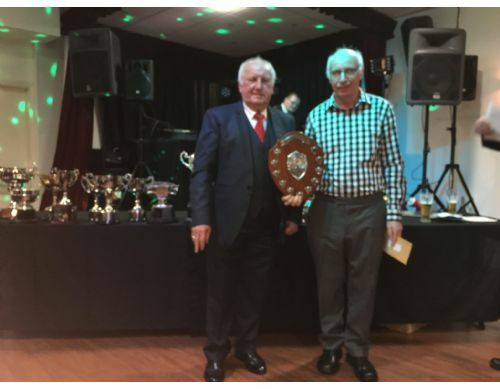 Club President, Liam Cormican presents Graham Wells with Presidents Shield. 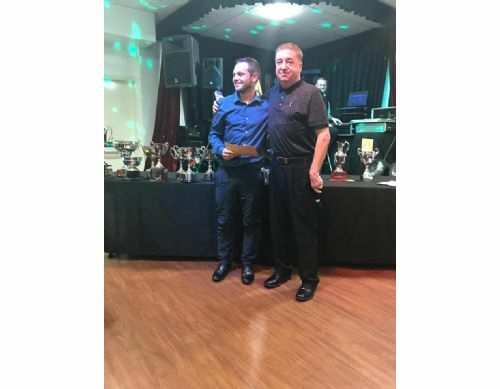 British Parks President, Craig McGuigan, presents Steve Ridley with the Wilkinson Trophy. All the entry fees for this competition were donated to Francis House Childrens Hospice. 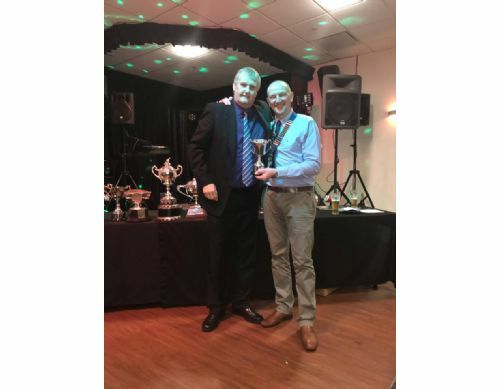 Club Chairman, Dave Phillips, presents Ryan Sandham with the Club Champion of Champions Trophy. 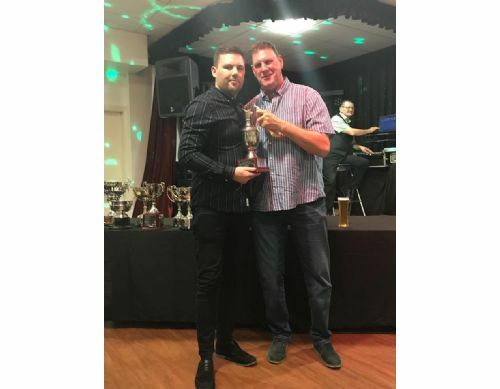 Club Chairman, Dave Phillips, presents Ryan Sandham with the coveted Clubman of the Year Trophy. Well done Ryan. Good luck in the future. 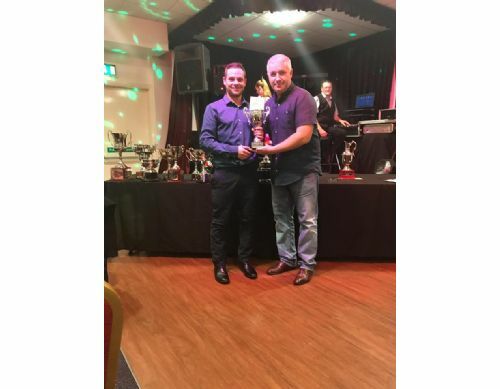 Gary Ellis presents Tom Mainwaring with the clubs Most Improved Player of the Year Award. 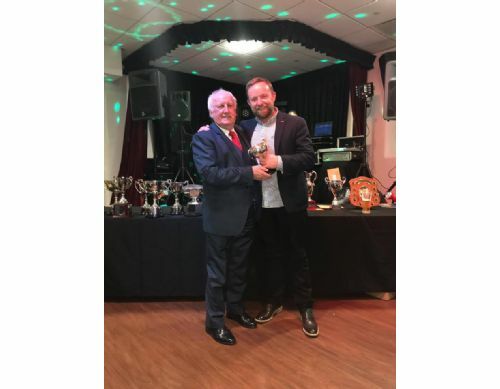 Club President, Liam Cormican presents Chris Alderson with the prestigious Club Merit Trophy. Well played Chris. 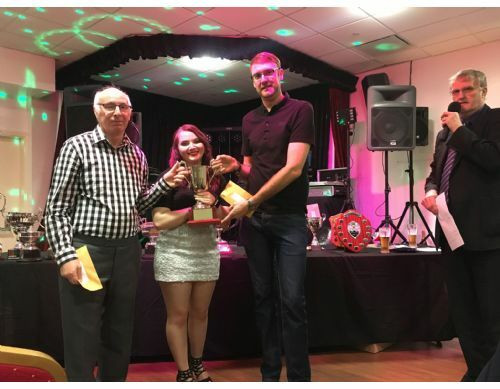 Georgina Cook, daughter of Steve and Pat Cook, presents Ben Phillips and Graham Wells with the Chris Dooley Pairs Trophy. 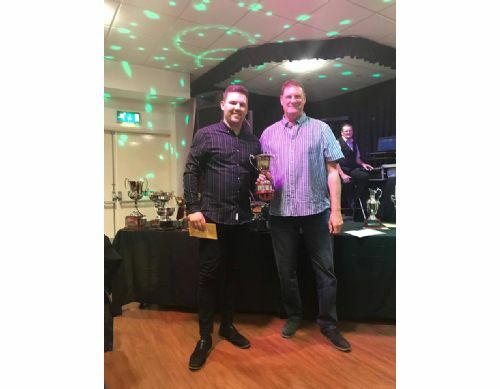 Mike Geraghty, our Manchester Premier League Captain presents Tom Mainwaring with his “Captains Player of the Season Award”. 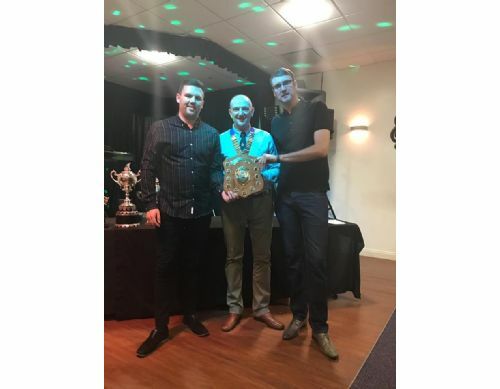 Craig McGuigan, our Altrincham & District LV League 1st Team Captain presents Chris Alderson and Ben Phillips with his “Captains Player of the Season Award”. 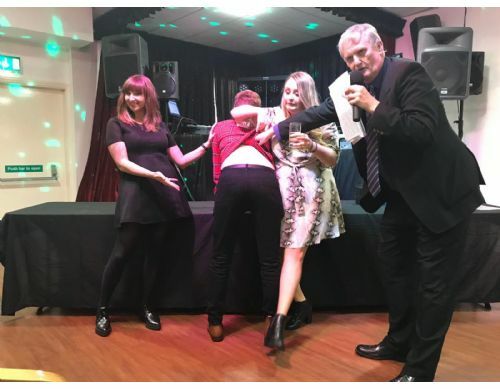 Reane Hall and Corrie present Matt Sands with the coveted “Male, Rear of the Year Award”. 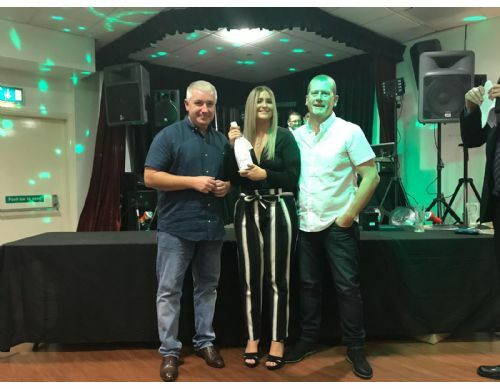 Gary Ellis and Pete Smith present an ecstatic Katie Bennion with the coveted “Female, Rear of the Year Award”. 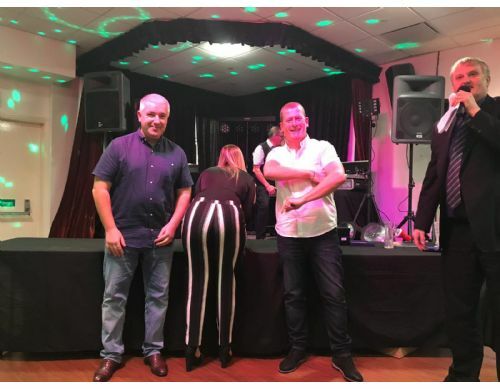 Gary Ellis and Pete Smith look on as Katie Bennion “shows off” the winning rear.